When it comes to relationships, Colin Singleton's type is girls named Katherine. And when it comes to girls named Katherine, Colin is always getting dumped. Nineteen times, to be exact. On a road trip miles from home, this anagram-happy, washed-up child prodigy has ten thousand dollars in his pocket, a bloodthirsty feral hog on his trail, and an overweight Judge Judy - loving best friend riding shotgun - but no Katherines. Colin is on a mission to prove The Theorem of Underlying Katherine Predictability, which he hopes will predict the future of any relationship, avenge Dumpees everywhere, and finally win him the girl. Love, friendship, and a dead Austro-Hungarian archduke add up to surprising and heart-changing conclusions in this ingeniously layered comic novel about reinventing oneself. After reading Fault in Our Stars earlier his year, I have been dying to read another John Green novel. Happily for me, this edition came out in August, so it fills my ‘must be published in 2012’ criteria. Colin is a child prodigy, but that does not mean he is a genius, as he mentions more than once. Colin may not be a genius, but his head is full of facts, which he loves to share, whether people are actually interested or not. Colin also loves anagrams, and he constantly ‘anagrams’ throughout the book. He is not someone you want to play scrabble with, as Lindsey and Hassan discovered, the score Lindsay:293 , Hassan:0^36 (0), Hollis: 158, Colin: 521. This is a book that’s not really like anything else, but it's the sort of book that makes me feel pretty good about being slightly nerdy. If I wasn't, then I may have missed this book altogether! Saying that, it's not just a book for the nerdy at heart. It has lots of laughs, romance, identity crises and a whole lot of heart. The story is full of characters you would expect from a small town in the US, a town called Gutshot. Folks don’t really leave Gutshot, (why would you?) so those that live there have done so for their whole lives. Colin and Hassan only meant to stop in Gutshot to see the grave of Franz Ferdinand, but an offer of a job and a place to stay by the owner of the string factory sees them deciding to stay a while. For Colin it’s time to work on his Theorem and for Hassan, it’s time to start living his life and having a few adventures. This book contains a lot of anagrams, formula and diagrams. It does not contain too much swearing, as the swear word of choice is ‘fug’ (The word "fug" was most sensationally used in Norman Mailer's 1948 best-selling war novel "The Naked and The Dead" when the editors asked him to remove the other ‘f word’) There are also copious amounts off footnotes, as I mentioned Colin loves his facts, so if something is mentioned in the body of the text where Colin feels we need more information…there’s a footnote. I like books that take characters completely out of their comfort zone, and that most definitely happens in this book. When characters are removed from their normal everyday environment, we get to see thee ‘real person’ and characters either get the opportunity to shine, like Hassan, or they start questioning everything they thought they knew about themselves and the world. 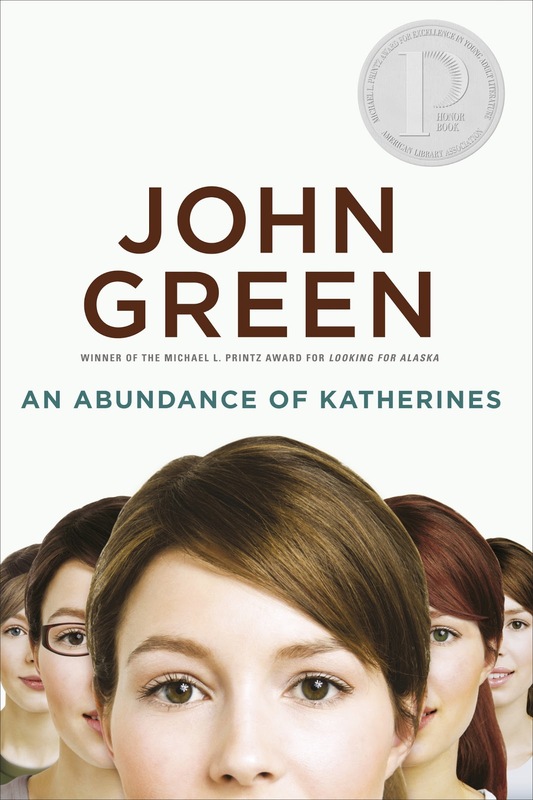 It's a funny, sometimes heartbreaking, and intelligent story that John Green fans (those of us who are slow off the blocks and haven't already read everything) will love. In true geek style there is also an appendix dedicated to the Theorem. John Green is friends with Daniel Biss who just so happens to be a maths genius, so all of the math in the book is accurate, and the appendix explains that the formula actually works within the context of the book.